Jeff Goldblum is the magic ingredient in this hilarious Christmas campaign for U.K. electronics retailer Currys PCWorld. A range of new spots, directed by comedy master David Shane of O Postive (who did HBO's Awkward Family Viewing ads), see the star give acting lessons -- in how to react to awful gifts with dignity. For example, (seen here) there's a woman who receives a jigsaw puzzle of baked beans from her husband, and an office worker who gets a terrible mug from his boss in a Secret Santa exchange. 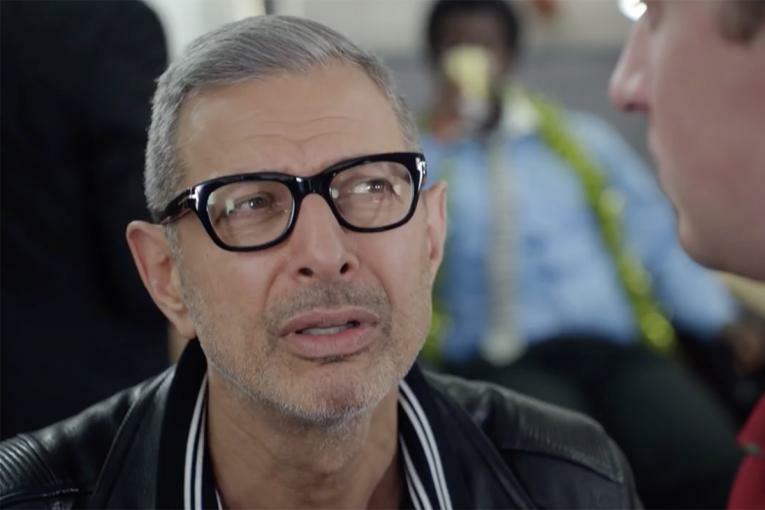 In each scenario, Goldblum intervenes and suggests that the recipient instead imagine receving a brand name gift from Currys that they really wanted -- like an Intel-powered Microsoft Surface tablet, or Google Chromecast. In another, a woman gives her husband foot talc and Goldblum asks him to imagine it's a Nespresso machine. There's also a spot that features a Christmas dinner where the turkey has been "cremated" -- Goldblum asks the family to imagine it was cooked in a Bosch oven. Yet another ad sees him goading a family viewing a boring holiday film with Nana to react with more verve, as if they're watching one of his own movies on an LG OLED TV. Their resulting emotional outbursts are hilarious. Goldblum is no stranger to ads -- he's currently starring in a U.S. campaign for Apartments.com and did previous ads for GE -- and while this campaign casts him in a less quirky role than usual, Shane's direction makes great use of his comedic skills. 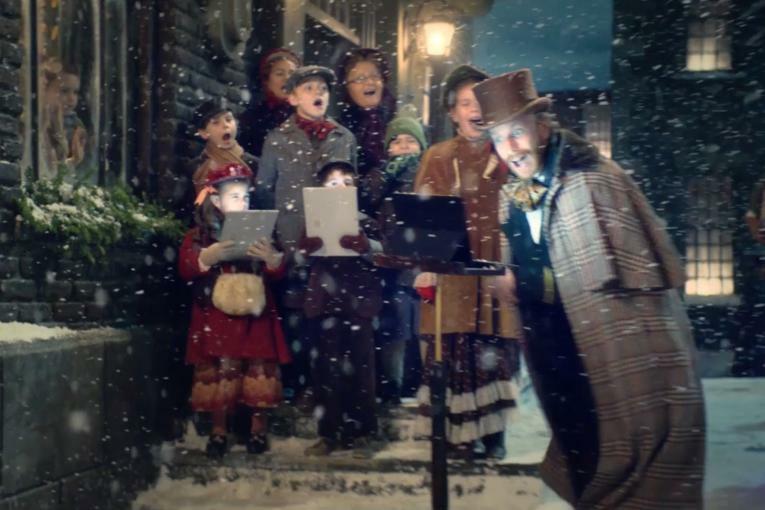 The spots, by AMV BBDO, are part of a $15 million campaign for Currys PCWorld, and will break this weekend in shows including "Downton Abbey" and "The X Factor." 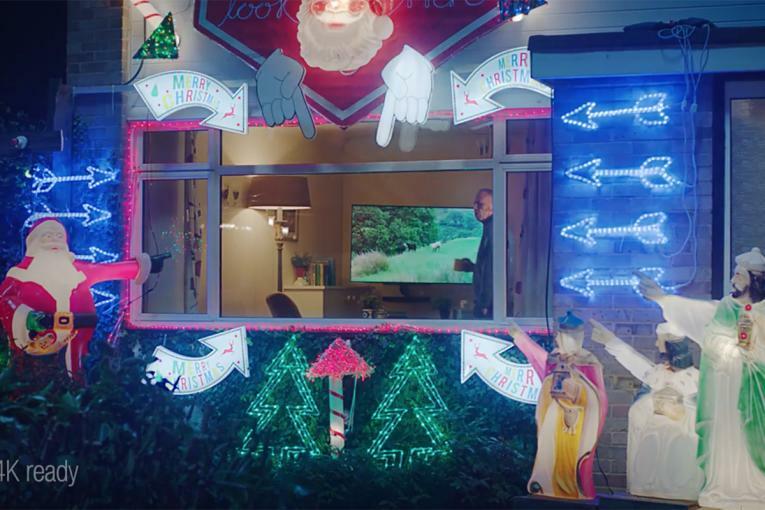 It's the first time the retailer has done a specific Christmas-themed campaign.